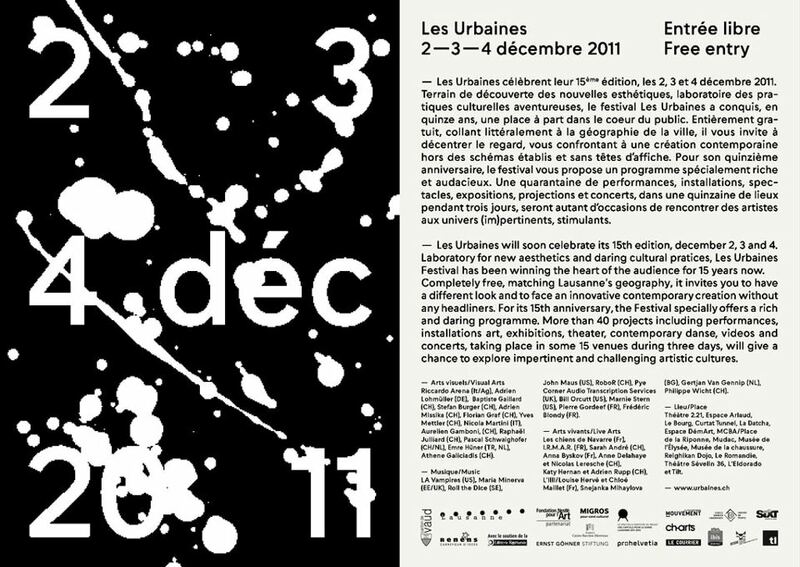 We are very proud to be playing at Les Urbaines Festival in Lausanne, Switzerland! The show is scheduled for Saturday 3rd December (time TBC) and completely free, so if anyone is in the area, please do drop by! Artists confirmed include LA Vampires, Maria Minerva, John Maus and Bill Orcutt. If anyone has any experience of the Swiss weather at that time of year, advice would be appreciated. Shorts and knotted hanky should be fine, yeah? More info on their website and facebook page.